When it comes to aquascapers in the Uk there's no one more known to the community than George Farmer. Like Oliver knot in Germany and Amano worldwide, no one has had a greater impact in the hobby here than George. 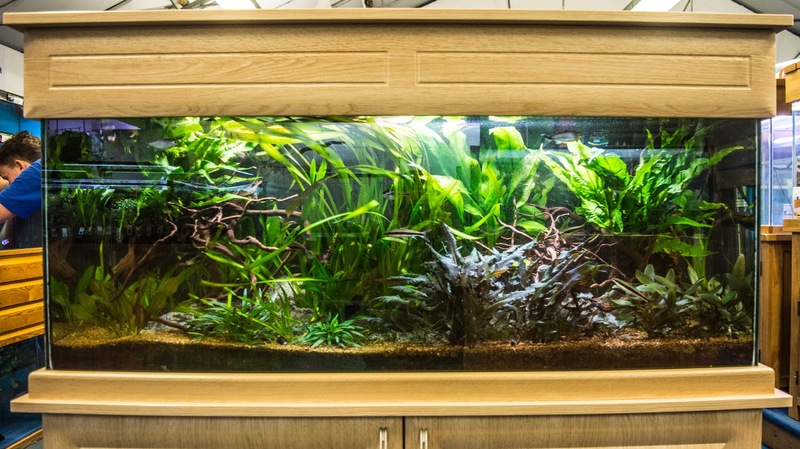 As the most active British aquascaper you'll most likely have come upon his work, either being photos of his aquariums or the many videos he posts daily on social media. He's also together with Evolution Aqua part of the Team that brought us the Aquascaper range of aquariums. 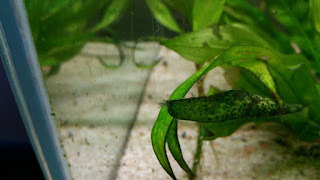 I first met George personally in the UKAPS aquascaping experience in January last year. But because he was one of the organizers and the event was packed with people I didn't really have a chance to engage in conversation with him. That chance came last December in the Hampshire aquascaping and Fish group event in Portsmouth. He did a workshop for the audience about the aquascaping basics and assembled an aquascaper aquarium that was raffled to the audience at the end. 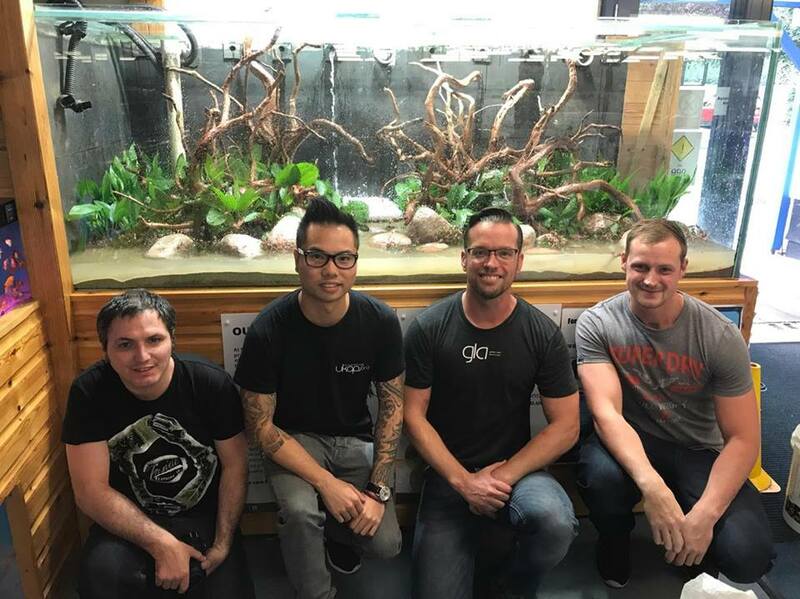 George has an extensive knowledge of many aspects of the hobby, he's always helpful and a real down to earth person who's made it his mission to grow the aquascaping scene in the UK. Either through his articles for Practical fishkeeping magazine, videos, workshops and last but not the least by going around the country creating aquascapes. So when a notice popped up on my Facebook feed with an event of George assembling an 1800 litre aquarium at Maidenhead aquatics in Oxford Wheathley i decided not to lose the chance to see him doing his thing again. The shop is located in Wheatley just outside Oxford, the drive from London took around forty five minutes. I arrived early, so while waiting i kind of did my own personal tour of the shop. It's quite larger than your average shop, they have the large 1800 litre aquarium setup as a display tank right at the entrance and a few Nano aquarium setups. They also have a large amount of fish selling, if there's some fish you need, you are most likely to find it here. But also they stock a wide variety of aquarium equipment and a decent amount of aquarium hardscape. 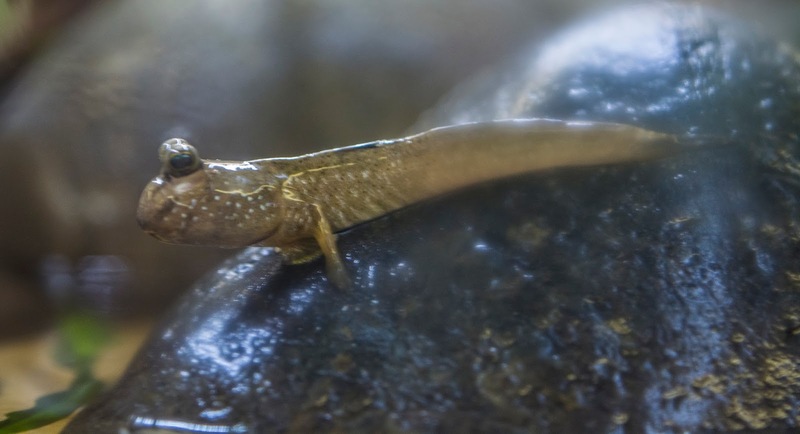 But as i made my way into the back i found a true gem, a mudskipper aquascape. 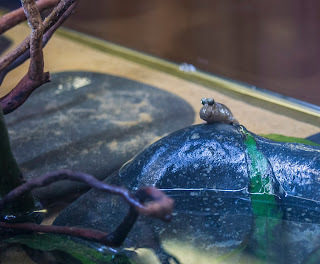 I loved this setup, a nice rock and wood design, full of detail, but its main feature is that it's an emersed/submersed setup, meaning the tank is just roughly a half full and its inhabitants are both adapted to living underwater as much as on land. 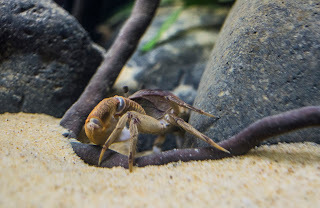 It was really cool watching the mudskippers and some crabs moving around in this setup. I was also told later that the system is designed so that the water level rises and lowers at specific times of the day as if to simulate the different tides. I personally loved this setup and really want to try something like this in the future. Soon George arrived and it was time to scape the tank. We were joined by Ryan, another fellow aquascaper from London who i had also previously met at the UKAPS aquatic experience. The setup of the tank had already started prior to our arrival, following George's instructions the staff prepared the sand substrate. George and Ryan. In the back you can see the tank with the sand substrate already in place. The tank is massive, and to fill it up a lot of wood, rocks and plants were needed. There was a large selection of wood available, a large container was at hand with pre-soaked redmoor wood. There were also a few pieces from other types, but from the beginning it was obvious that redmoor would be the choice. George started preparing the pieces, they were quite large and required some heavy lifting to fit inside the tank and while he was doing this me and Ryan started working on preparing the plants. Yes, you read that right, this visit came with a little bonus, as it was large aquarium, with lots of hardscape and plants to prepare, visitors were invited to give a hand in the making of this aquascape. So while George worked on the hardscape me and Ryan went on to prepare the largest amount of plants i have ever had the chance to get my hands in. 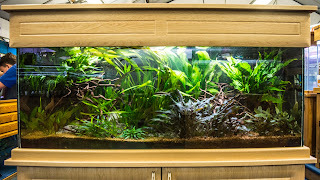 The design chosen for the aquascape was a Nature aquarium, using redmoor branches and some light coloured river rocks. The idea was to created a river stream feeling. Because the tank is quite tall, the plants themselves also needed to be large, on top of that the shop requested that only south American plants should be used. Taking this into account there was a large amount of large echinodorus to prepare, not only are they south American plants, they are also relative easy to keep and they grow to very large sizes which allows them to cover wide areas of the tank fast. As this is a Display it is imperative that it looks healthy at all times but that at the same time is relatively easy to maintain by staff. This process took roughly about an hour and while we were doing it i took the chance to get to know Ryan a little better and at the same time we traded a lot of ideas regarding our aquascapes and the hobby in general. And during all this time George was still wrestling to get the wood inside the tank, at this moment it was wood 1 George Farmer 0. But he'd soon turn things around. Once George was happy with the wood he was gonna use and how the design would look it was time to start tying rocks to it. Despite the wood being pre-soaked by staff, the fact is that we were using some massive pieces, there was always the possibility that they would float up once the tank was flooded and that would be catastrophic for the scape. So using rocks and cable ties we got busy working on making sure that this scape would stay in place once the water was poured in. Once that was achieved it was time to start scaping the tank, George placed the wood to try and make the composition look as natural as possible, but at the same time to have as much layers as possible to achieve a good sense of depth, since the plants used are mostly large, this effect would have to be achieved by careful positioning of the hardscape and by using a pathway in the middle, allowing a clear view of the center front to back which enhances the feel of depth, specially when the tank itself is already deep. Once the wood was in place the rocks were added, as mentioned before a lightly coloured river rock was used. George chose this colour because he thought that it would provide a good contrast to the sand and he choose river rocks because he's trying to convey the idea of a river bank. With the Hardscape complete it was time to start planting the tank. By this stage we had been joined by Chris Powell another enthusiastic aquascaper. The plants chosen were various species of Echinodorus and Amazon swords from various sizes for the back and midground, and some alternanthera reneckii mini to the front to provide a touch of red. The larger plants were not separated into specific areas, instead they were mixed at random throughout the middle and back of the tank, this was done on purpose as George explained he wanted to give a natural look of a jungle, instead of something overly designed. That feeling of randomness would increase its natural feel once it was grown in. At the front the Alternanthera was placed in between and around the rocks. After the tank was planted it was just a question of filling it up. But a tank like this takes time to fill up, so while that was going on the team went to a nearby restaurant for snack and some drinks. I really enjoyed this part of the day as we really had a nice conversation, for me it was interesting to get to know the guys better as it was to understand from George's experience how's the life of a professional aquascaper. Soon we went back to the shop to appreciate the final result. The staff from Maidenhead were already hard at work stocking the tank with fish, as the filters are using cycled media it was possible to do it from day one. 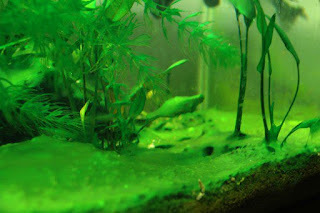 The tank was stocked with around 700 neon and cardinal tetras, corydoras are to be added soon. But the main focus of this tank will the the Altum Angels that are to be added once the tank is stable. Throughout the day a lot of photos were taken and shared on social media and George did 3 live streams with updates of the project for all those at home that were interested. 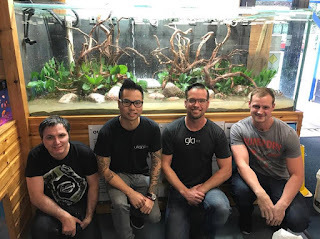 It was really interesting to see how large the aquascaping community as become, and how closely connected it is. People from all over the world were following live, what we were doing in this little corner of good old England. Social media has played an incredible part on the amazing growth the hobby has seen in the last few years, but so do projects like these, shops like Maidenhead aquatics Wheathley that are willing to arrange for it to happen, for someone like George Farmer that as the reputation and the courage to undertake such projects, and people like Ryan, Chris and me that love this hobby so much that we go out and attend them. But most of all there is a growing community of hobbyists all over the world willing to see these things come to life, because without you, there would be no reason to do it. I want to thank Maidenhead aquatics Wheathley for organizing something like this, George for inviting us to take part, Rory Pattinson and his staff at the shop who were wonderful, they were always ready to help, and make sure everything went as smoothly as possible. You can visit Maidenhead aquatics Weathley's facebook page here to keep up with future updates on this project. I really hope there's more to come.